How does Online Tracking Work? You go to TripAdvisor and look up hotels in Prague. Next thing you know, an unrelated site is showing advertisements for flights to the Czech Republic. It's like your computer is reading your mind. Or, you know, like sites are tracking your online activity. The fact is that online tracking is rampant. We are all “victims” of it. Sometimes it might be highly convenient, such as when Google remembers that if you search for “dolphin” you probably mean the sports team, not the animal. 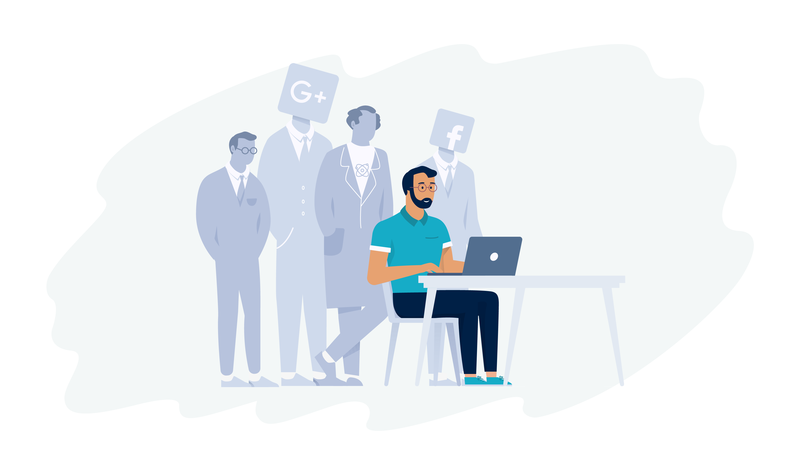 Other times it can be annoying, and in any case, the information about you can end up in the hands of hackers, where it can be sold to advertisers or, worse, used for highly-targeted “spear phishing” scams. Tracking can also create a “filter bubble” where you only see, for example, sites you visit regularly show up in news searches, which can cause you to be isolated from opposing viewpoints and can result in a reinforcement of your personal biases. How does online tracking work anyway? First party tracking is a specific site tracking your activity on that site. For example, Facebook tracks your activity so it can target ads, which saves money for advertisers and keeps them happy. A news site might use activity tracking to count how many people view each article. Youtube and Amazon track your activity so they can make you better, more personalized recommendations (you can delete your search history on these sites if you are uncomfortable with that). Third party tracking is what causes those creepy ads for something you looked at three weeks ago. Some third-party tracking is useful. For example, a Facebook share button on a news article is a form of third-party tracking. Most of it gives you no benefit other than those annoying apps. Third-party tracking is basically any time a website other than the one you chose to go to is tracking or storing your data. Here are some different methods sites use to track you. Cookies are the part of online tracking everyone knows about. Web cookies are very small text files that are created by your browser and stored, associated with the site that “planted” them. Those cookies are then attached to future queries to that website. Some cookies are good. For example, they tell the website you are logged in so you don’t have to log back in every page. Or they store what language you want the website in, so it doesn’t revert to Russian every time you restart your browser. However, cookies are also used to track activity. The mechanism is not dissimilar from how they remember you are logged in – they assign you a unique number, called a session ID, that tells the website who you are. That session ID doesn’t contain any personal information, but if it is stolen it could allow a hacker to log in as you (this is one reason clearing cookies periodically is a good idea). An ad can plant a cookie, even if you did not click on it, as a way of tracking conversions. For example, they can now tell how long between a specific user seeing the ad and clicking on it, and then whether and when that user bought something. Be aware that these beacons can exist in emails. In fact, spammers often use them to track whether an email has been opened and, thus, whether they just found a legitimate email address being actively checked. You may be able to cut down on spam simply by not previewing emails. Beacon requests are generally not blocked by browsers, as they look harmless. Your computer has a surprisingly specific combination of hardware, browser version, OS version, etc. It sends this information to websites so as to optimize the site for your machine. For example, the site may need to know whether or not your computer supports a certain font. Or it may want to know your screen resolution so it can optimize the layout accordingly. This is literally personal enough to identify individuals, even if your computer is off the shelf. Some websites were even using your battery status. As your fingerprint is really hard to change, it’s hard to avoid this kind of tracking without blocking the sending of information that can be vital for website performance. How Can You Keep from Being Tracked? Disable third party cookies. This prevents sites other than the one in the URL bar from depositing cookies. Advertisers will, of course, try to code around this. Use an adblocker. Blocking ads can also protect you from certain kinds of malware. You can always whitelist sites you trust. Use a specific tracker blocker, which may be bundled in with an adblocker. Like adblockers, these are browser plug-ins that can help keep third parties from collecting information, including fingerprinting information. Enable “Do Not Track.” Although it’s non-binding, some websites will respect do not track requests. Use incognito mode. If you’re doing something specific you don’t want tracked, or if you’re using a public computer, using incognito mode can protect you. Sign up for VPN. Using a VPN is by far the best way to keep yourself from being tracked on the internet. Avoiding being tracked can keep your information from advertisers and hackers and can prevent you from seeing ads for weeks because of what you have searched for before. 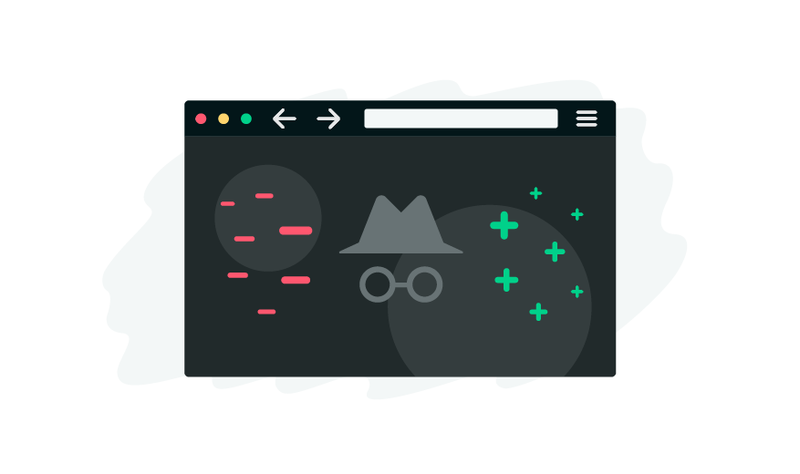 Taking the simple steps above and understanding how web tracking works and just how those creepy ads show up can help you gain better control of your privacy and of what you see in internet searches.